PES vs. FIFA: which one is better? 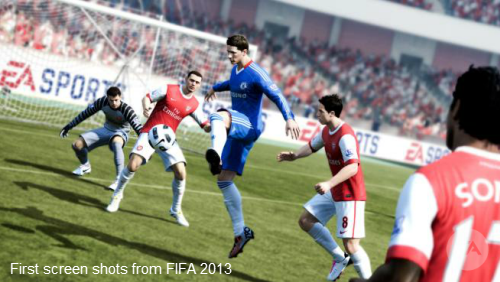 The official release date of PES 2013 and FIFA 2013 is so close, and all virtual football fans stand still waiting for new exciting details about the most popular football simulators in the world. As usual, Electronic Arts and Konami - the developers of FIFA and RES - were trying to catch up and leave behind each other and so prepared a lot of thrilling features for real fans. Which game will be the best this year? Let's try to detect. Frankly speaking, both PES and FIFA have the advantages and disadvantages, admirers and opponents. Each year two video gaming giants - EA and Konami - are trying to fix old bugs and surprise their users with new terrific features. But still neither PES nor FIFA is better by all characteristics. What have the developers prepared for us this time? PES 2013 is returning to the essence of football, as the official site goes. It means that developers paid a lot of attention to the quality of the individual game and the freedom of control for gamers. Now the gamer can manage almost every step of his team and really need to make right passes to success in the game. Konami started improving game play last year in PES 2012. That time the developers added revolutionary feature - Teammate Control - the ability to manage two players at once. Hope, that Full Control feature in PES 2013 will also satisfy skeptics. Also in PES 2013 the developers worked out the first touch feature and updated the dribbling. Now gamers can manage the speed of the dribbling and move the player within 360-degrees circle. Note, that you can evaluate all the advantages of manual game only using joystick. EA developers are moving in the same direction: they also introduced upgraded dribbling and first touch features. But they focused on the artificial intelligence and now players can analyze the space and organize the smart defense. Also the physics of the ball still is better in FIFA. Another important feature is Attacking Intelligence - now when you are attacking, your team will help you, opening passing channels and pulling the defenders from their places. So, the developers are doing everything to make the game similar to the real one. Konami announced Player ID feature, focused on the individual style of the famous football players. The developers are promising that the best players will be recognizable from the first sight because of incredible likeness and personal tricks and skills. 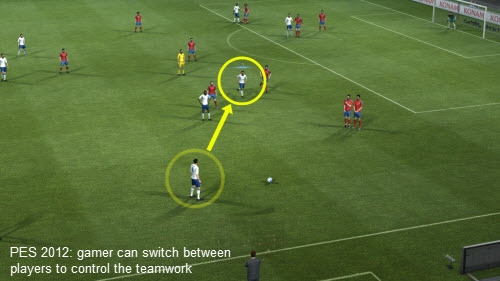 But FIFA 2012 already has had this function and some more interesting features. For example, in FIFA 2012 the game of the player is depending on his mood, and there is the smart injury engine. So this time PES is a year behind FIFA. Graphics is very important for gamers, because only graphics is making the sense of reality. But in 2013 neither PES nor FIFA will make something revolutionary here. The year before FIFA changed their graphic engine and worked out the details of the game. But they almost forgot about stadium and fans - they are really awful. Last year the PES developers as usual were trying to make the graphics more realistic, and they definitely succeed. The faces and shadows are dramatic and detailed, and the cameras show really fantastic repetition of the best game's moments. The main problem with PES again touches the licenses. In PES 2013 Konami expanded the list of licenses with Latin America, but still this game is far behind FIFA. Meanwhile PES has more flexible game play for those who really is fond of football game. The rest depends only on your taste.